Just a reminder for all you harried FileMaker developers out there. In case you were waiting until the last minute, the last minute is here. 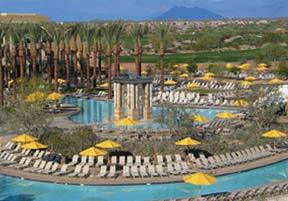 FileMaker Developer Conference 2004 in Phoenix at the Mariott Desert Ridge Resort & Spa has a $200 discount until June 30th. After that, you have to pony up the full price of $1199. For your hard earned money, besides the conference sessions themselves – which have always been excellent, you get a full version of FileMaker Pro 7, meals, conference shirt, conference bag, binder and CD. These sessions look really meaty. Here’s a pdf of the Conference Brochure. I’ll be there. Please, if you see me, feel free to introduce yourself. This entry was posted in FileMaker News on June 29, 2004 by janet.